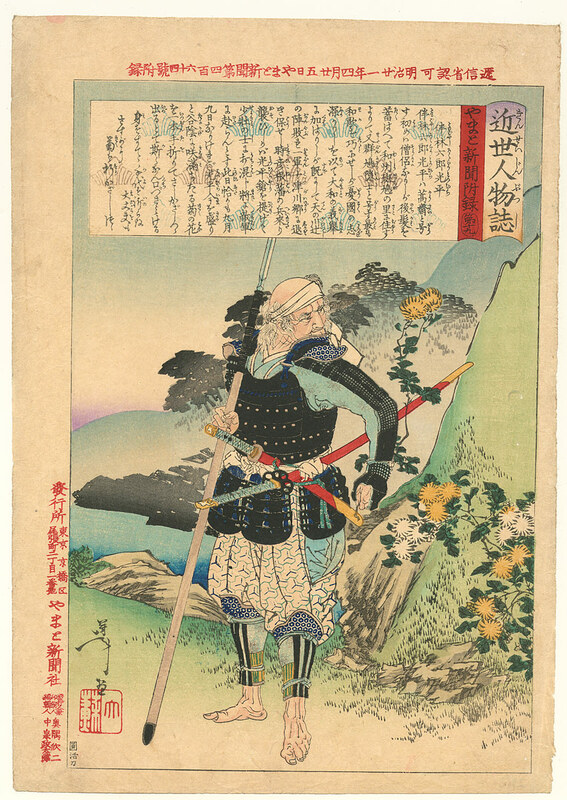 Prints in this series were issued as supplements to issues of the Yamato Newspaper. Mitsuhira was a priest and a man of letters whose conferences were attended by many scholars. The Shogunate grew suspicious and had him arrested and beheaded.